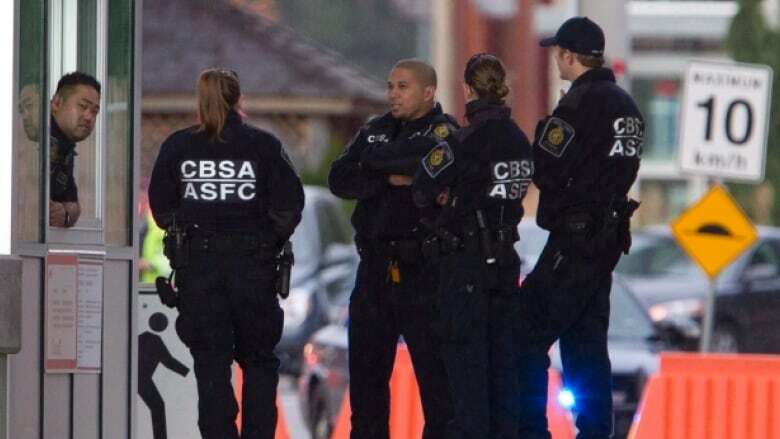 New enhanced security measures at the U.S. border mean Canadians may be faced with a different kind of experience as they head to the states over March Break. Here's some tips on how to deal with crossing the border. New "enhanced security measures" at the U.S. border mean Canadians may be faced with a different kind of experience as they head south over March Break. "We can no longer take for granted that you're crossing into another country," immigration lawyer Eddie Kadri told CBC News. 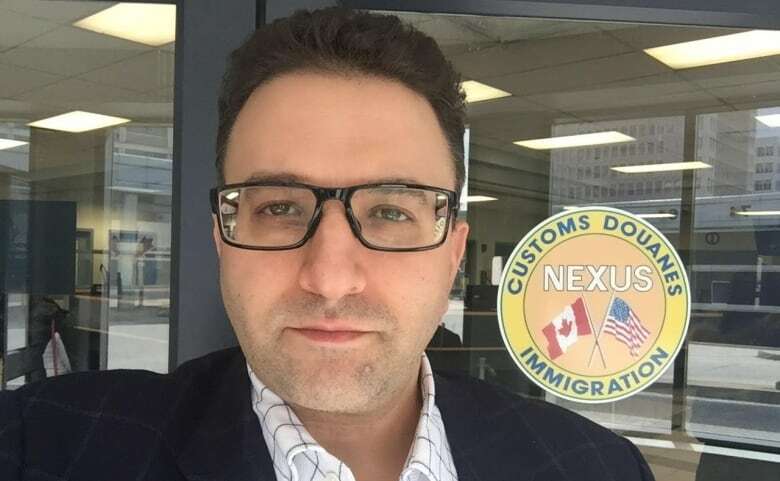 Kadri points out that in the past, many Canadians took travel to the U.S. for granted, but with the new Donald Trump administration in Washington, D.C., it's becoming clear travel is a privilege, not a right. "Border officials have a wide degree of discretion and latitude," explained Kadri, and they use that latitude to determine who should and shouldn't be allowed across. Additionally, your rights and freedoms as a Canadian, or American citizen, don't apply in the grey area of border security, Kadri said. Even though it's unconstitutional to base entry based on a person's religion, Kadri said, those questions are being asked anyway. "People are being asked: 'What's your religion, where do you practise ... what mosque do you go to, if you're Muslim,'" he said. Officials are also asking people about their political leanings and feelings about President Trump, and there's little that can be done about it, Kadri said. "We could sit here and debate wether or not those are legal questions, and in many circles academics will tell you they are not legal questions. But it's part of what's happening now and it really is hard to police because of the frailty of a traveller's rights – and the lack thereof – when they attend a US border." Ultimately, Kadri feels border security is going through an adjustment phase, and this will be short lived. Principled or pragmatic? Know before you go. Kadri said if you take issue with being questioned about your religion or politics, decide before you get to customs how you're going to handle the situation. "At a port of entry, I don't think it's the place or the time for you to raise that principled objection that you don't want to answer those questions, because you shouldn't expect that it will go well for you." He advised if you don't want to answer those questions, on principle, don't take the trip in the first place. Tell the truth. "Never lie. OK? You have to understand: If you're ever caught lying it makes the matter 100 times worse for you," Kadri said. He advises thinking of any conversation with a border security agent as giving testimony. "You don't have to sit there and elaborate on everything you say. Answer the question that's asked of you and that's it. Don't offer more information than you need to." Expect more scrutiny if a visible minority. While the same rules apply for people of colour, visible minorities are more likely to be asked intrusive questions than Caucasian or white-passing Canadians. "It's naive for us to not think there is some degree of that takes place when a traveller is seeking to enter the United States," Kadri said. However, he said the majority of people do get through the border without incident. Your laptop and phone can be searched. "If you're not comfortable with someone reading the contents of your cellphone or laptop, then you shouldn't travel with it," Kadri said. Border officers are allowed to conduct warrantless searches of anything you have with you, including your luggage, car and electronics. A less drastic approach, he said, is to delete material you think might be problematic, like commentary on U.S. President Donald Trump, before arriving at the border. Should Liberals let asylum seekers from U.S. enter Canada safely at border crossings?